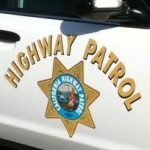 A teen died in a single car crash along Highway 1 by Stenner Creek Road near Cal Poly Monday afternoon, according to Cal Fire. An oil tanker crashed on Willow Road near Highway 1 Saturday morning and then overturned, landing on its side off of the roadway. One person was killed Sunday evening after a pickup truck crashed on the Cuesta Grade. A stretch of Highway 1 north of Ragged Point that has been closed for more than a year following a massive landslide will reopen on July 20, according to Caltrans.